Welcome to Howerton Jewelers! - Howerton Jewelers custom-designed jewelry! 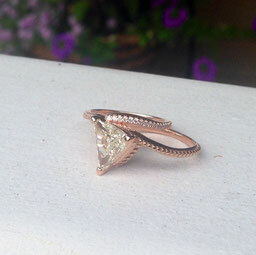 A 1.59 carat Trillion-cut diamond set into a custom-made 14K Rose Gold mounting. If your jewelry is personal to you, then it means something. You might be in the midst of an off day but your spirits can be instantly lifted with a glance at that unique ring you had created to symbolize a relationship; or the pendant that personifies a remembrance of someone close to you. Earning your trust and confidence is an essential part of our philosophy which is why we provide pressure-free consultation services without any financial commitment. If you like our services, then you make the decision to proceed with us or continue your search for the jeweler that best fits your needs. We create jewelry designed by our clients - one piece at a time. Our process is simple and every project is treated with the strict confidentiality that you expect. 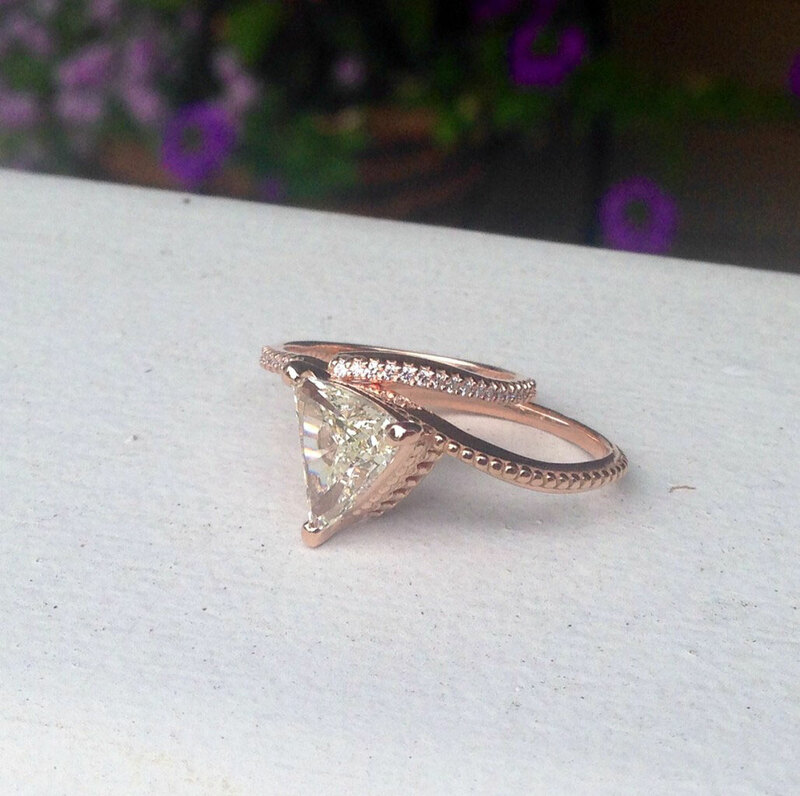 Careful attention to the details that make your jewelry personal to you is a responsibility we take very seriously. We employ state-of-the-art technology with the timeless skills of a craftsman to provide the discriminating jewelry-lover many options. Please look at our portfolio to see a sampling of just some of our work designed by past clients.